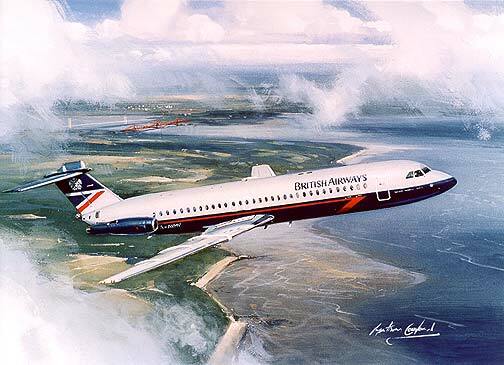 A British Airways BAC111-500 series flies out over the Firth of Forth before turning south for London. Powered by two Rolls Royce Spey engines, this aircraft was like the Forth Bridge behind, built to last. Created as a limited edition print of just 250 by the artist Anthony Cowland.